Haifa District Court approved the revocation of Ala’a Ziwad’s citizenship, requested by Islamophobic interior minister Arye Dery – a disgraceful ruling. 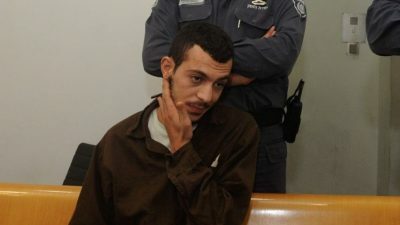 In 2015, Ziwad was unjustly charged with four counts of attempted murder and security-related offenses for an alleged car-ramming incident and stabbing of an Israeli soldier. During his arraignment, he explained what happened was an accidental car collision – what in America is called a fender-bender, a common occurrence, at times resulting in injuries. When attacked (for being Palestinian), he acted in self-defense, insisting he’s not a terrorist and meant no harm – to no avail. Being Arab in a racist Jewish state, Ziwad never had a chance. He was convicted and sentenced to 25 years in prison. Revoking his citizenship stripped him of any rights, virtually making him a non-person, denying him any chance for possible future justice. Last month, the Legal Center for Arab Minority Rights in Israel (ADALAH) and the Association for Civil Rights in Israel (ACRI) responded to the revocation of his citizenship. Under Israeli law, this action may be taken in cases of “breach of trust or disloyalty to the state,” giving authorities broad latitude. Israel’s Supreme Court rejected a prosecutorial demand to revoke the citizenship of Yigal Amir – Prime Minister Yitzhak Rabin’s assassin. It court ruled “society has expressed its social reservation about this brutal murder, but that is no reason to revoke Amir’s citizenship, not because of the killer’s dignity, but because of the dignity of that right” to citizenship. In March 2016, both organizations appealed on his behalf to Israel’s interior minister – to no avail. Revocation of citizenship is a serious infringement of fundamental human rights law, including the Universal Declaration of Human Rights (1948), the Convention Relating to the Status of Stateless Persons (1954), and the Convention on the Reduction of Statelessness (1961). “The exercise of the authority to revoke citizenship, even if not fulfilled, sends a humiliating and degrading message to Palestinian citizens of Israel that their citizenship cannot be taken for granted, and that it is bestowed on them as a privilege but not a right,” Adalah and ACRI stressed. In US judicial proceedings, beyond a reasonable doubt is the highest standard of proof required. In criminal cases, the high proof standard is especially important because a defendant’s freedom or possible life is at stake. In Israel and the Occupied Territories, Arab citizens and Palestinians are unjustly treated for not being Jews.